The redwood is a very interesting tree; it is impervious to most diseases, it can withstand fires, and also has extreme drought tolerance. In many ways, the redwood tree physically demonstrates the virtues of a successful investor, the stoic investor. I'm often asked what stocks I like or where to invest. Good questions, but they are meaningless if an investor doesn't have the stoic fortitude to actually invest like a farmer. Stoicism, an ancient Greek philosophy of enduring pain or hardship without a display of feelings or complaint, valued virtue as the highest good. The wise were considered indifferent to the vicissitudes of fortune and to pleasure and pain equally. I believe successful investing requires a great deal of stoicism, especially if one is hoping to turn a sapling of savings into a redwood fortune. From a distance, and in a single moment in time, the redwood is seen as still and massive, but over the course of hundreds of years a multiple of growths and starts have occurred that are imperceptible in the here and now. There have been droughts. Fires. Earthquakes. Meteors. And men. But yet the redwood survives. Without a doubt stoic investing involves mental fortitude, but it also involves pruning. You can lose the small bets in life, and many of them, but you gotta win the big ones. Winning the big bets is the manifestation of a mathematical formula dubbed the Pareto Principle. In short, amongst a handful of redwood seedlings (the recommendation is 20 seeds) perhaps only one will successfully germinate, take root, and rise to the heavens. The rest are failures. So too is the investing landscape littered with the refuse of an absurdly high mortality rate for true start-ups, and only decreasing marginally with ventures that survive the initial lean years. Even then, successful ventures are typically only sustaining ventures. Consider for a moment that only about 4% of all stocks drive the market's return over time. That's just about the success rate for a single redwood amongst 20 seeds! Coincidence? I think not. 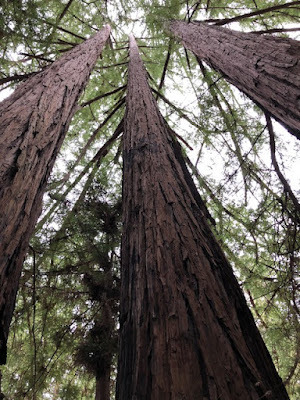 The challenge of course is finding these redwood seedlings early and often in your investing career. Which leads me to what I believe is a great fallacy. The thought process of making no mistakes is flawed; I think of investing along the mindset of having a financial destination in mind, a means to secure it, and being able to change course, tac, as necessary. As investors, theoretically, we should be indifferent to the underlying security, only interested in its potential Alpha...and this is why passive investing survives but by the grace of active investing. By this I mean passive investing owns too much of the forest floor and not enough of the redwoods. 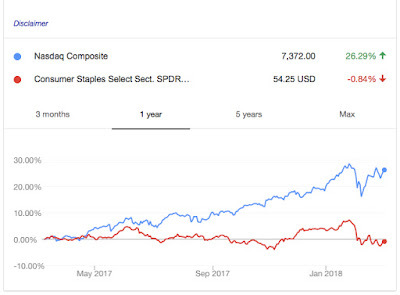 Case in point is Warren Buffett's Berkshire Hathaway, which has soundly beaten the S&P 500, no small feat, over the course of 50 plus years. This is due in large measure to Buffett selecting redwoods over time and sticking with them. Technological innovation, branding, and strong leadership matter; buy redwoods! Take a moment fellow financial farmers and click on the image above and take a look at all the world crises...yet since 1970 $1 invested in a basket of global equities would have returned $59 by the end of 2017. Think about that for a moment. $59 dollars for every $1 originally invested. Remove the green line and look only at the headlines and few would believe that an investor would stand to get even his own original $1 back! Being a student of the markets and economic history, I have yet to find a time period which wasn't described at "troubling" or "heady" or "uncertain." There has, however, been one constant: the desire for a better life. And that economic theme reigns supreme in mankind's evolution and greatly explains the rise in global stock markets over time. It was the best of times, it was the worst of times...the NASDAQ's heavy tech components roared to new 52-week highs on almost a daily basis, while iconic global consumer brands struggled to keep their heads above water. What happened? How could this happen when rates are still at historic lows, unemployment is low, the global population continues to grow, and the economy is booming? Not so fast. The economy IS booming, BUT in CERTAIN sectors. Consumer staples (think toothpaste, diapers, soap, hot dogs, macaroni & cheese, bleach, tissues, paper towels, etc.) have for decades relied upon BRANDING to charge a massive premium over a similar generically produced product. Who ever orders just a "cola" from a restaurant? Or asks for carbonated water and sugar? No one. Consumers have been steered towards brands since birth. An interesting thing is happening though, and it seems to be accelerating. The oft-cited force of "tech disruption" has uniquely impacted classic brands in a singular way; consumers can now price shop globally and have orders filled at signifiant discounts to traditional full retail prices. Rather than laser-focusing on innovation, distribution, and consumer satisfaction what I've seen are major brands saddling up with lean manufacturing to such an extent that employees have to justify ordering pens or toilet paper. This is a race to the bottom. The flip side of the coin are the tech innovators who leverage their massive economies of scale and state-of-the-art logistics to provide an unrivaled consumer experience. Many of them are pure software companies, some are not, but the result seems to be the same: extremely satisfied customers who have developed TRUST in the brand. So much trust, that these tech innovators can repeatedly launch offshoots of their core brands into a captive consumer market that actually embraces the new product or service. And many of these products or services directly compete with established legacy brands. 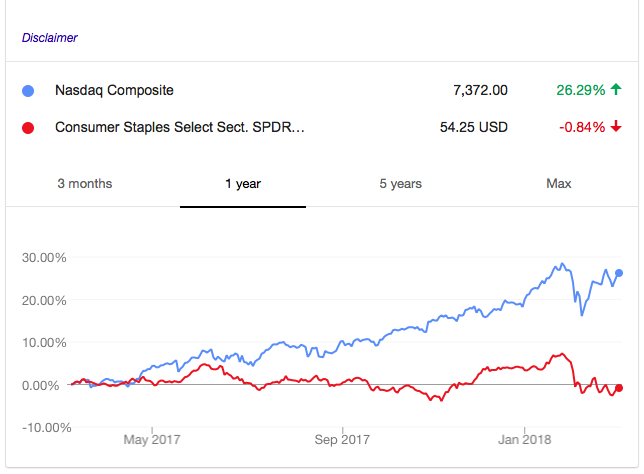 The game plan needs to change for legacy brands to thrive; the old vertical mindset of acquiring lowest cost raw commodities, manufacturing with razor thin margins, spending billions on marketing, and capturing the global consumer from birth is giving way mightily to logistical systems offering consumers ease...and better prices. Wishing all my readers & their families a very, very happy, healthy, and prosperous New Year! I can think of no better quote to kick off the new investing year than from my main man Marcus Tullius Cicero. 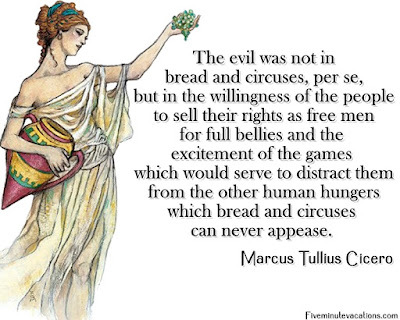 He writes of a greater good than simply a full belly and entertainment, a fullness of life "which bread and circuses can never appease." While many of the working poor and middle class have been locked in a political bickering war amongst themselves for at least a generation, the wealthy have consolidated their power. Much of this has been accomplished by providing the proverbial bread & circuses of yore. I find it hard to believe the pinnacle of human existence is captured on a sports field or with the legalization of a plant, but that's where we're at in this country now. I encourage readers of this blog to talk with their friends and family about wealth; how to create it, how to sustain it across generations, and what the greater good is that they seek. There is tremendous opportunity in this country and abundant resources to accomplish dreams and goals that would seem impossible simply to a generation ago. Space beckons. Science calls. There is poetry yet to be written, lines of code yet to be keyed, and cures waiting for genius undiscovered. We can and must do better as a species. Resolve to invest wisely. The Darwinian battle for survival has a lot to do with EXCEEDING the Jones, rather than just keeping up with them. Traditionally what has been a pillar of the American Dream is the belief that one's children will have a better life; better education, access to opportunities, health, etc. Indeed, it was John Quincy Adams who remarked that "I am a soldier so my son can be an engineer and his a poet." How does that translate in today's society? Reality dictates that to achieve this goal of a progressively better life for ourselves, our children, and their children one major accomplishment MUST be achieved: growth. By definition, the Earth has limited natural resources, and as humans our time is probably the most valuable resource. Along those lines, maximizing time (surviving) is paramount to achieving growth. 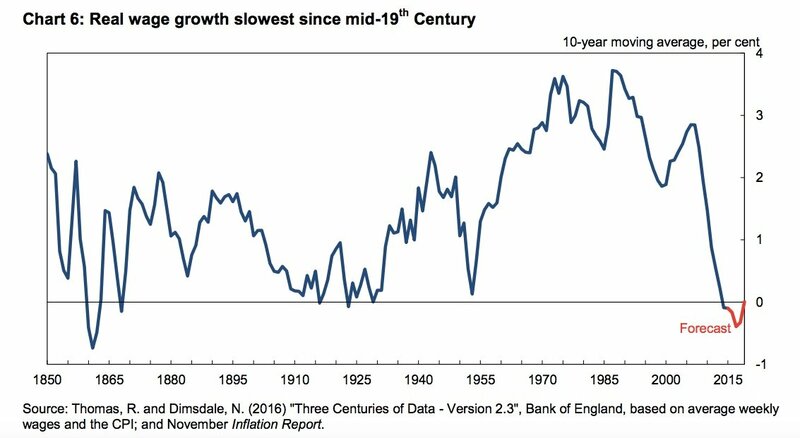 And there is a very specific definition of growth I like to use fellow financial farmers: making sure your portfolio is growing consistently in EXCESS of true inflation...which I estimate is easily in the double digits. Double digits? How could this be? The Federal Reserve is HOPING that their metrics indicate "inflation" rises to 2%. 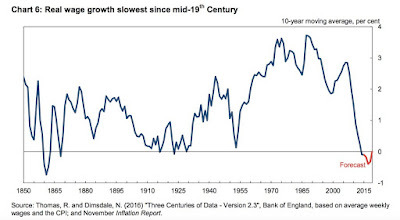 Please take a look at the chart above illustrating historic real wage growth and notice something really, really nasty occurred around the year 2000. That's essentially when the internet really began to take off, and was quickly followed by major world events including a massive recession and multiple global wars. 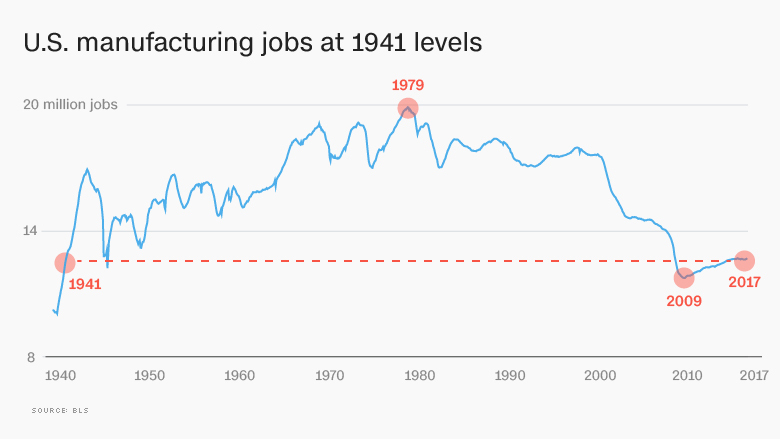 The global economy's PRODUCTION has more than recovered in the nearly two decades since, but the real wages haven't....and neither have the jobs. 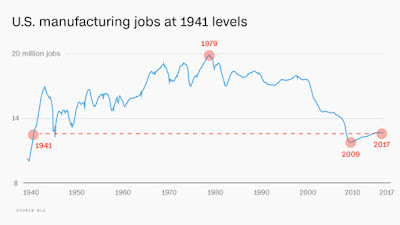 Real wages have remained stagnate and U.S. manufacturing jobs are at 1941 levels. Explosive growth in productivity hasn't benefited the typical line worker at all. The number of jobs has collapsed and compensation long associated with those jobs has vaporized...it has been replace largely with the rise of a massive service sector dubbed The Gig Economy. The problems with The Gig Economy are legion; no pension, limited healthcare options, and low wages. 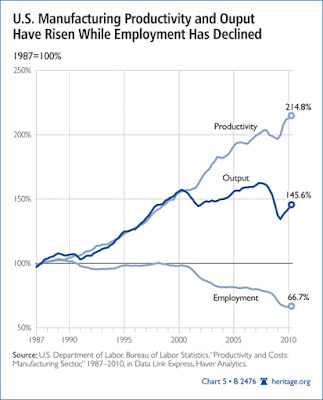 Where is all that "productivity" i.e. prosperity going? To the owners of said businesses, who are typically either private equity concerns or publicly traded companies both of which have founders with stratospheric wealth. So how you do position to win? First, throw out the 2% inflation dictum championed by the Federal Reserve. Second, put a personal growth plan together that targets a sustainable, LARGE growth rate in excess of your true inflation (cost of housing, healthcare, education, etc.) Third, implement said plan. There are multiple industries with stratospheric growth...I know where they live, and so will you after some research. Give me a call if you need help finding them. Look at those industries and professions intensely from both an employment perspective and ownership mentality. The future remains very bright for those pursuing ownership interests that are laser-focused on generating cash flow...and there's nothing to say you can't love what you do and benefit the world while you do it. If you want to position yourself to win big-time, formalizing a growth plan and executing it are essential...Invest Like A Farmer. It is often said a picture is worth a thousand words, so financial farmers I encourage you to click and expand the above picture depicting the "Middle Class Squeeze." If you feel like you've been working harder than ever just to pay for basic life needs like rent, medical care, child care, or higher education well...you have. 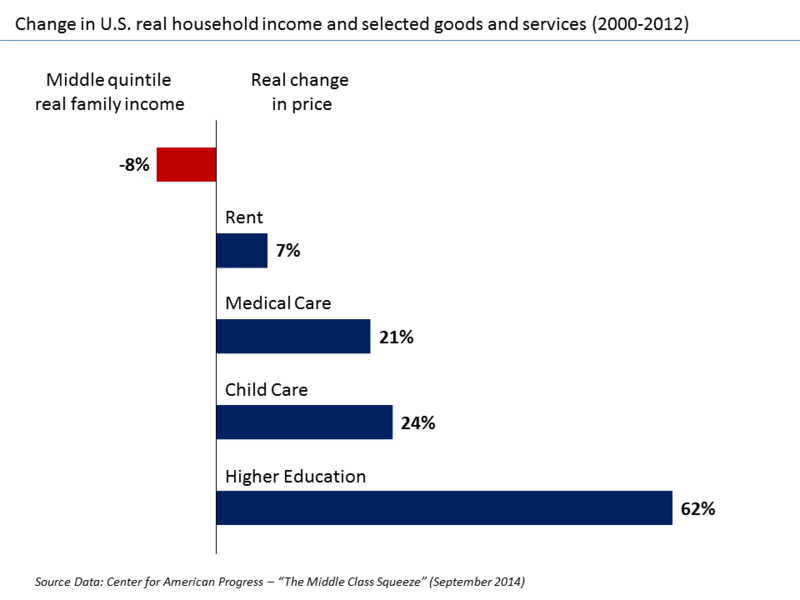 Over the past twenty years real family income has fallen nearly 10% while costs of essential services have skyrocketed. Much of the plunge in real income is due to the complete and utter destruction of the traditional manufacturing base. Productivity remains at an all-time high, but the jobs have disappeared. It is analogous to a cluster of neutron bombs going off in multiple cities across the United States, particularly in areas succinctly defined as NOT coastal America. Technology is great...until it gobbles up all the manufacturing jobs and essentially hobbles an entire class of people. Probably the greatest article I've ever read about this ongoing phenomenon is entitled "Why Software is Eating the World" originally published in the Wall Street Journal on August 20th, 2011. If you do one thing today (besides read my blog of course!) please take a moment to read that article. It is brilliant. Wealth creation, and concentration, has largely come at the expense of higher-paying middle class jobs. What I term the "technorati" (or in stock market parlance FAANG...Facebook, Amazon, Apple, Netflix, and Google) have swelled in market capitalization to ENORMOUS levels. But it's not just FAANG...the list can easily include any number of their peers: Adobe, Microsoft, etc. Even "new" startups like Uber and Airbnb largely leverage existing infrastructure (cars and homes) to derive profits as a software company. They manufacture nothing, except benjis. Obviously shareholders, and in particularly founders, have made tremendous profits. But at what cost? It is going to be nearly impossible to to rebuild the middle class base in my opinion. If anything, there will be further wealth stratification into binary classes; the "Alphas" and the "Betas." Upward mobility has basically stalled for an entire generation, save for those smart and lucky enough to latch on like Velcro to the runaway tech horse. A potential solution is tricky in a democratic republic that values, indeed prizes capitalism, and loves a Horatio Alger story in every successful person. The reality, however, is starkly different. Dynastic wealth is alive and well...and growing across the political spectrums...and that is the true enemy of meritocracy in the world. The middle class has the votes and needs to elect pragmatic politicians willing to broach traditionally taboo subjects like true inflation (the Federal Reserve calculates inflation in tons of soybeans rather than legit metrics like housing, education, healthcare), tax avoidance (via "non-profit" foundations which collectively have avoided billions in taxation), and monopolies which clearly violate the Sherman Antitrust Act. Unless the middle class acts, the shenanigans will continue; wealth will concentrate amongst the top Alphas leaving a proverbial ocean of Betas to fuel them. Rumors swirl of a potential deal uniting Rhode Island-based Hasbro with West Coast Mattel, as reported by the Wall Street Journal. 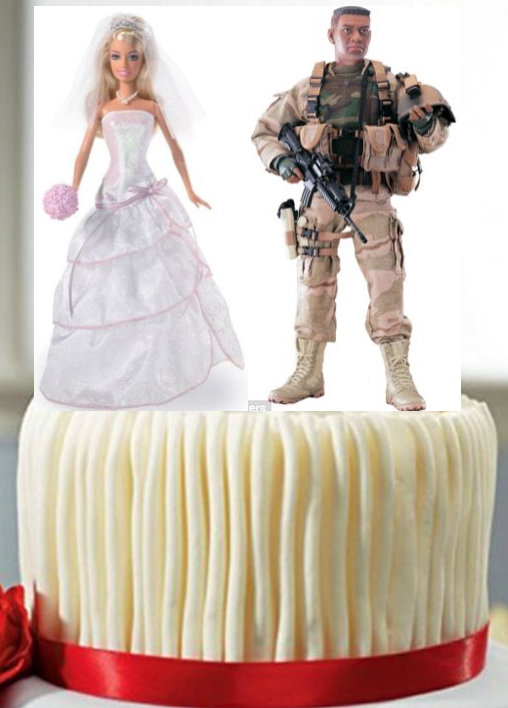 If indeed Barbie does say "Yes" to G.I. Joe it would create a toy monopoly having nearly every major toy brand or franchise under one roof: Star Wars, Marvel Comics, DC, Transformers, Disney, etc. As traditional mom-and-pop retail stores shutter, and even old stalwarts like Toys R Us declare bankruptcy the toy majors (of which there are really just 3 left: Lego, Hasbro, and Mattel) are increasing relying on the direct-to-consumer sales path. (Read as "Amazon.com") This isn't good for traditional retailers...and it probably isn't going to be good for consumers either down the road. Over the past 20 years there has been a nearly 50% decline in the number of public companies. The strong are getting stronger...and the weak either are acquired or go out of business. 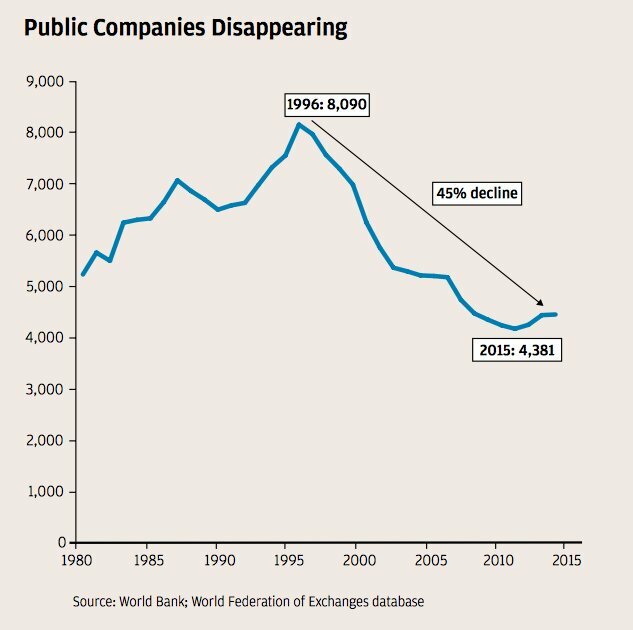 What we SHOULD be seeing in a healthy economy is the steady growth of NEW public companies coming to market which enrich and employ an increasing number of people. We are witnessing just the opposite; fewer companies employ fewer people with fewer products and higher prices. Textbook monopolies are forming all over again. What might be good for the stock market and corporate America might not be good for the American social order.